VERY AFFORDABLE!! Check out this great family home. Three-bedroom split foyer located in St. Charles. Conveniently located right off Muegge Rd., and Hwy 364 (Page Extension). Across from Wapplehorst Park. 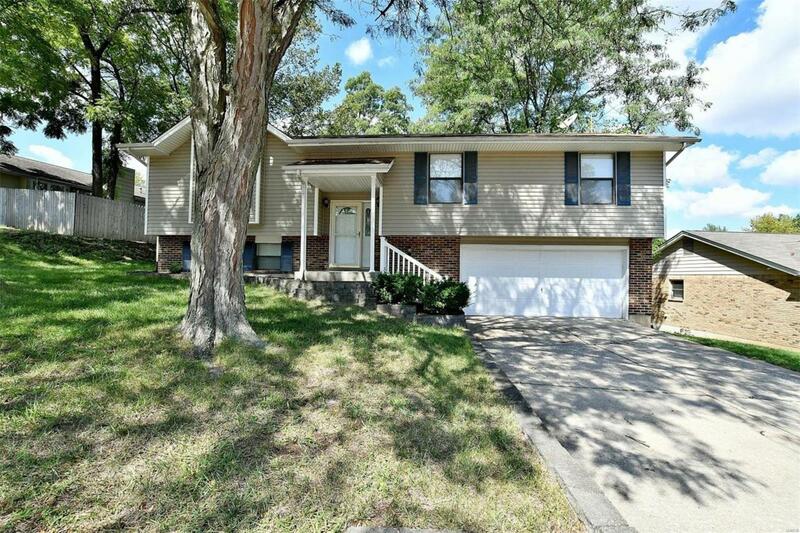 Home features newer laminate flooring in living room, dining room, hall and 2 bedrooms. Main floor opens up to a large living room, bay window with seat for lots of light. Also find a formal dining room, eat in kitchen with pantry, master bedroom with large bath and walk in closet. In the lower level you will find a large rec room, with wood burning fireplace, along with look out windows, 1/2 bath as well as a laundry room and nice storage area. Over sized two car garage with work bench. Enjoy the deck off the kitchen to a private backyard that back to trees. This would make a great first home. A one year home protection plan is being offered. Take time to view this home soon! !